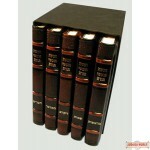 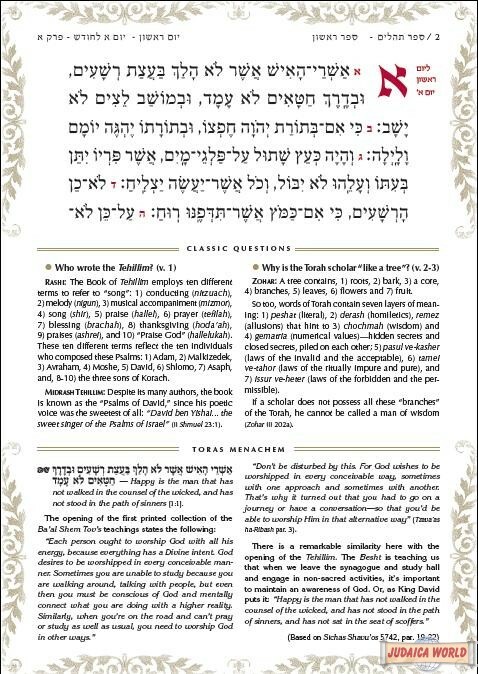 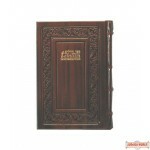 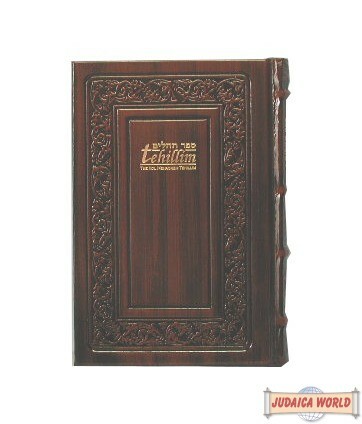 The luxurious, hand-crafted Schottenstein Edition Tehillim, represents the very peak of English Judaica. 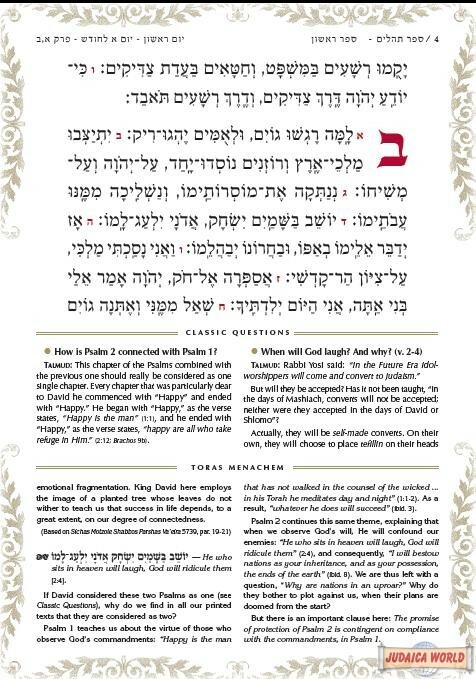 World-class typography by an award-winning designer, with gold and red-wine highlights, makes each page of this classic a rich feast for the eyes. 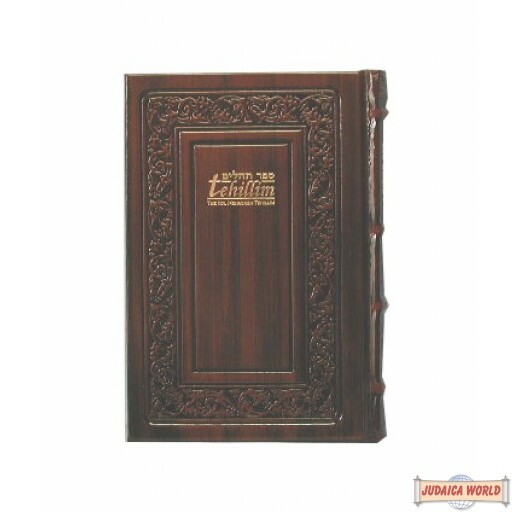 An exceptionally lucid, flowing translation, is adorned with fascinating insights culled from over 200 traditional commentaries. 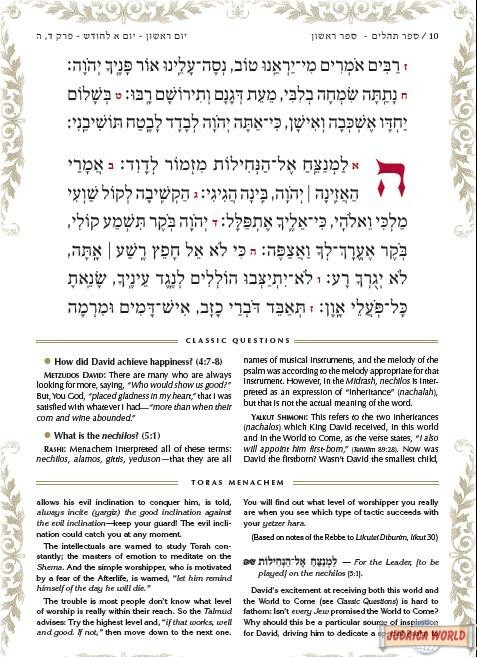 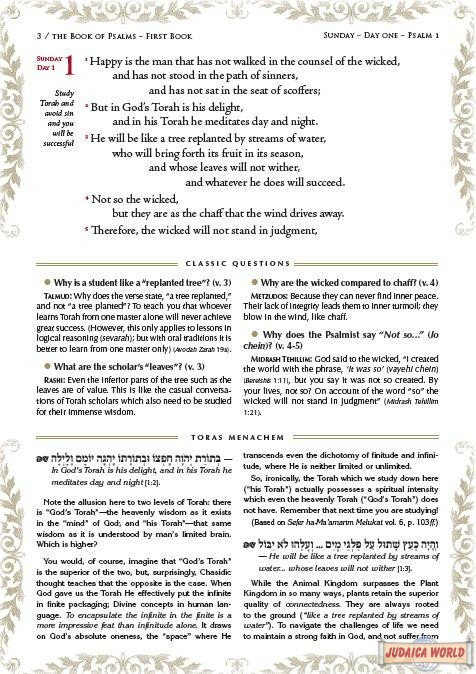 A special feature is theToras Menachem, inspirational commentaries from the late Lubavitcher Rebbe on Tehillim which have never been published before in English.